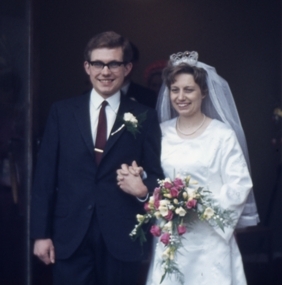 Gordon Foulger and Kay Sparkes on their Wedding Day taken at Harlow, Essex 1969. 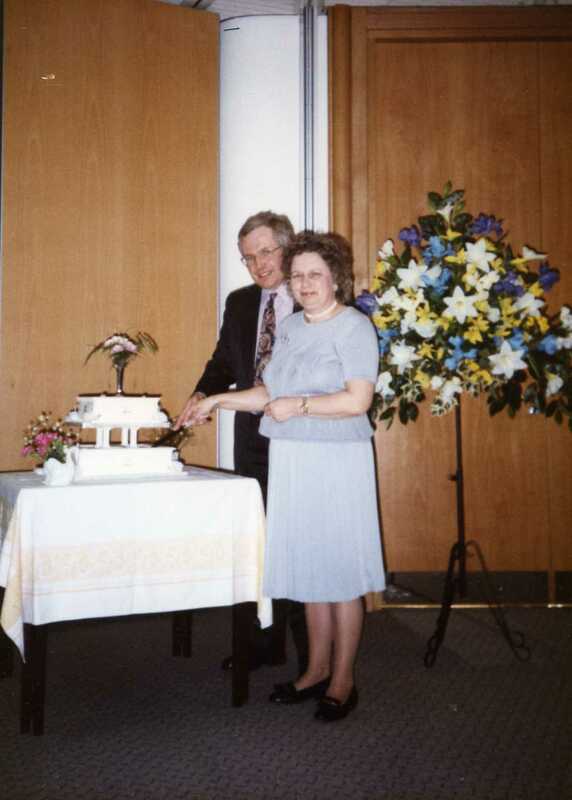 Photo Right: Gordon and Kay Foulger celebrating their Silver Wedding Anniversary, at the Kerith Centre, Bracknell, Berkshire, England in 1994. 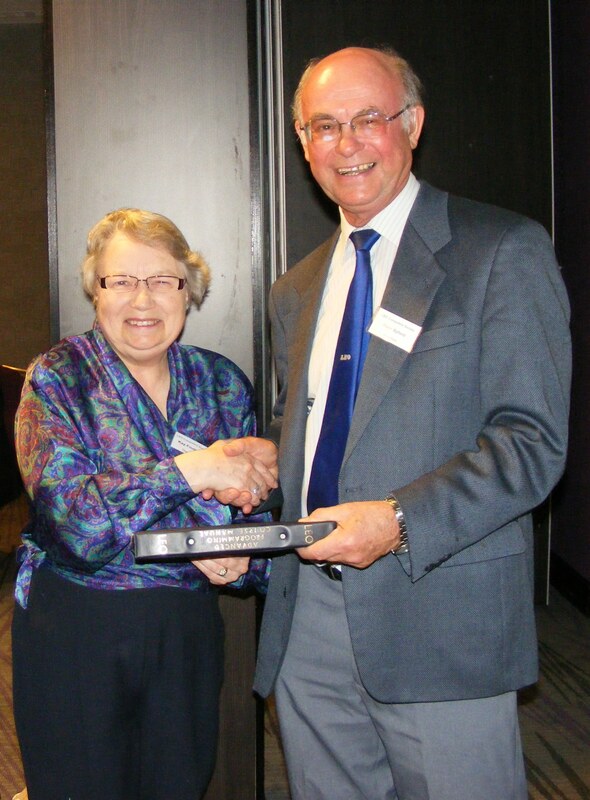 Right: Gordon Foulger's widow, Kay presenting her late husband's LEO (Lyons Electric Office) folder to the Chairman, Peter Byford. 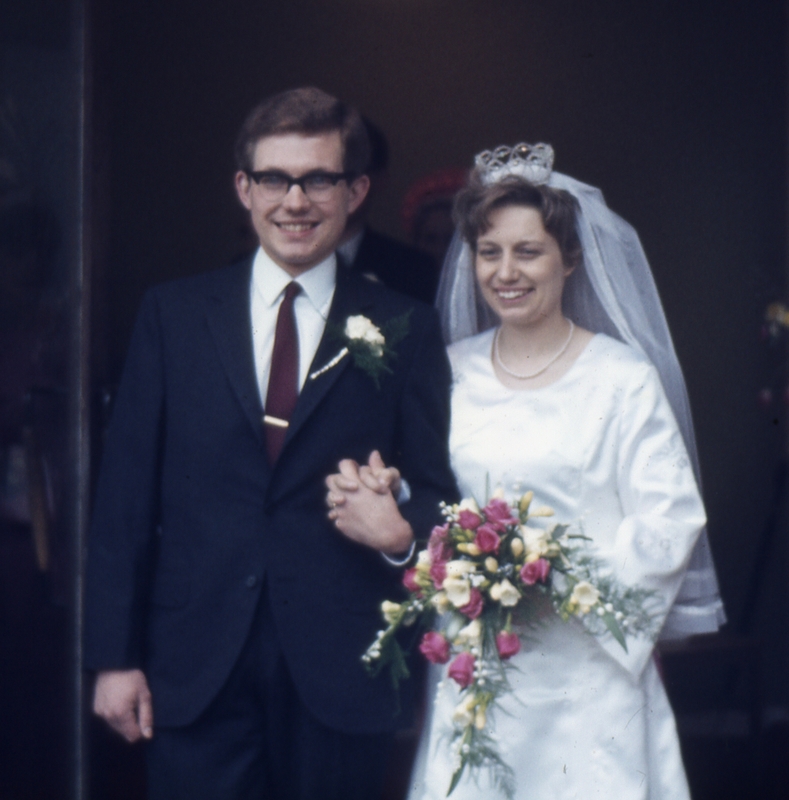 His folder will be added to the many archives at The Computer Museum at Manchester University. 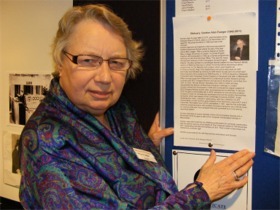 This photo was taken at the LEO Reunion, April 2012, at a London hotel. 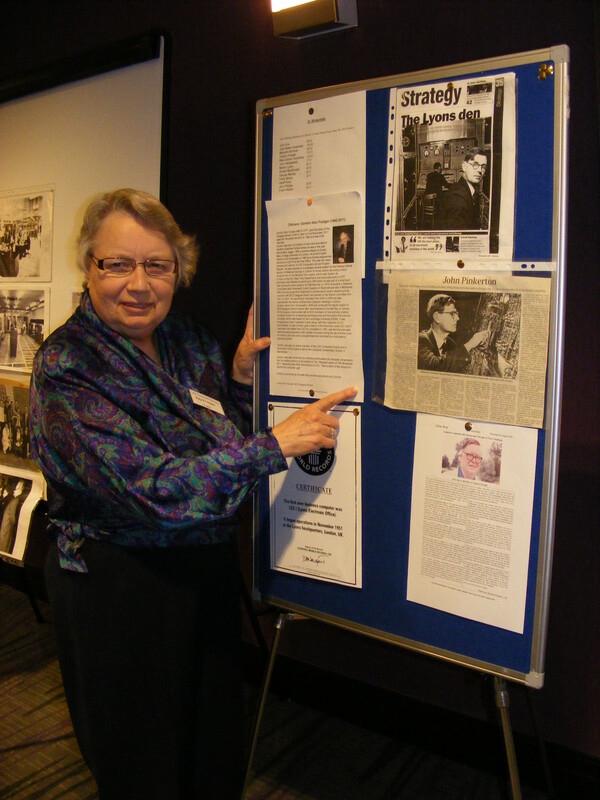 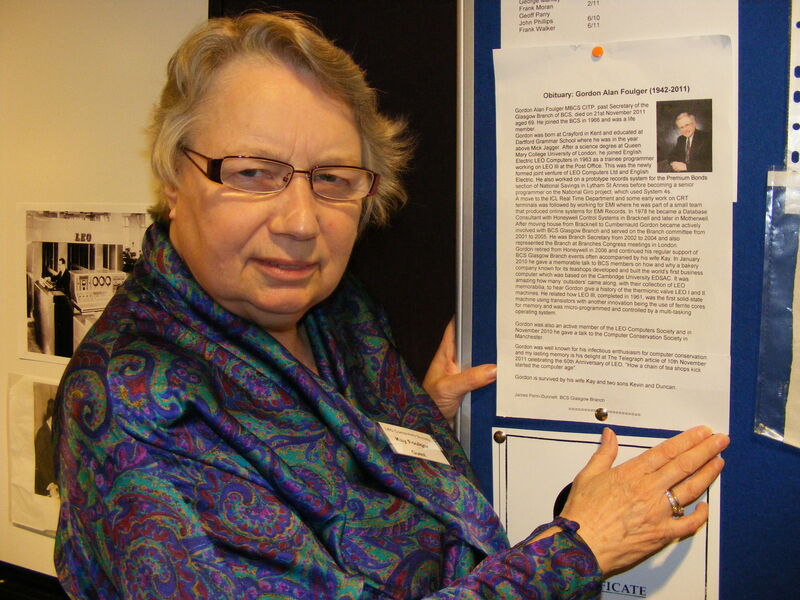 Kay Foulger, looking on at her late husband Gordon Foulger's obituary displayed at the LEO Reunion with other well known Computer Experts, including John Pinkerton. Gordon also had his obituary published on the LEO web site. 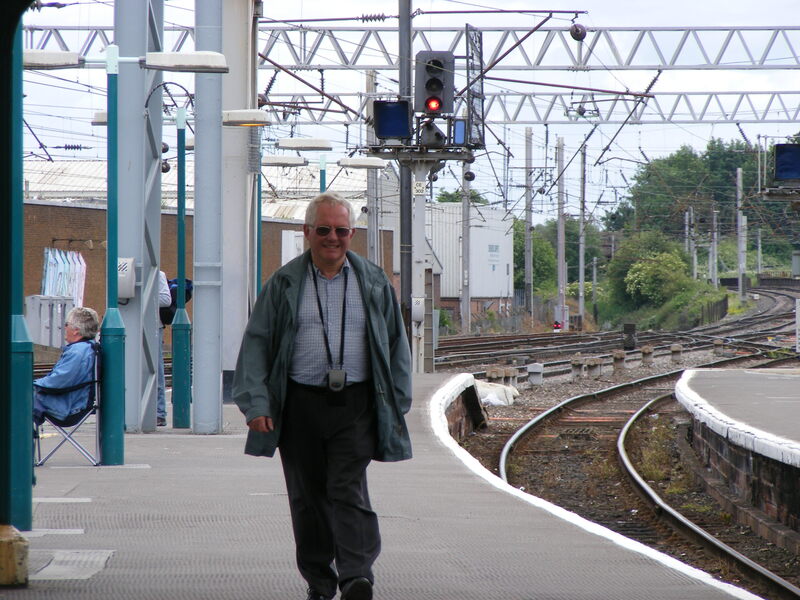 Photo taken by, Kevin J Foulger. 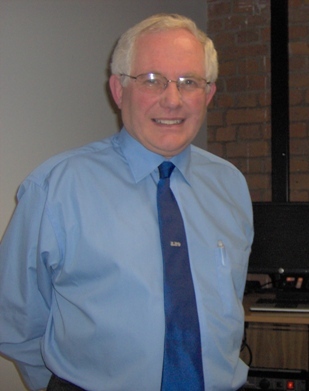 Gordon after giving his LEO Lecture at the Museum of Science and Industry, Manchester, England. 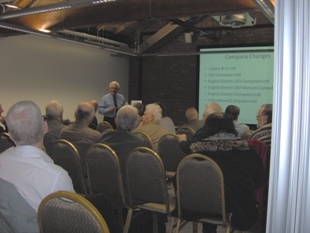 Gordon giving a lecture on LEO at the Museum of Science and Industry, Manchester, England on 16th November 2010. People travelled from as far as Belgium and Scotland to hear him. 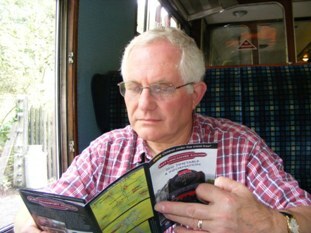 Gordon enjoying a ride on a vintage train, engrossed in reading the literature about it. 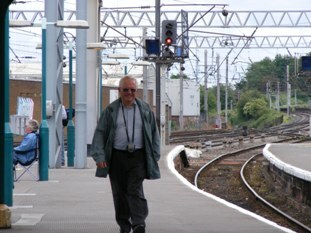 Gordon at Carlisle railway station, England, after he'd seen the steam train pulled by the locomotive, The Tornado. 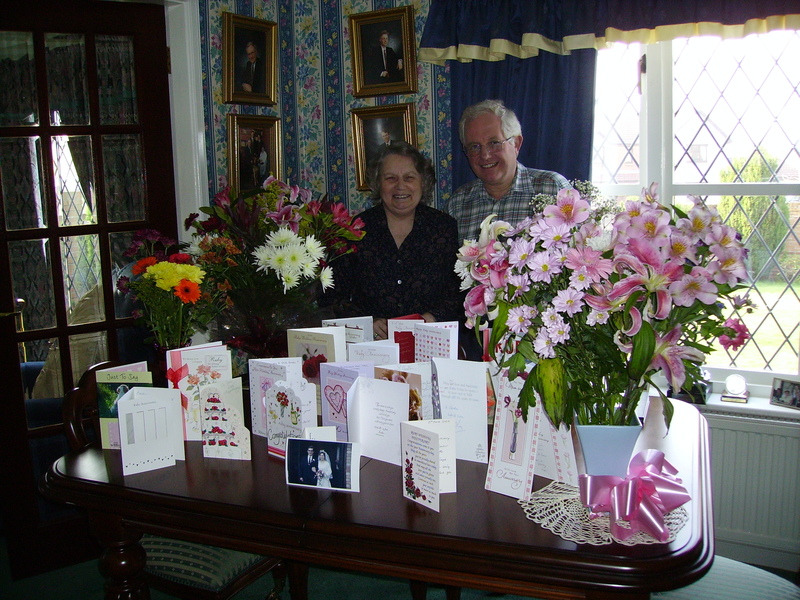 Monklands Hospital, Airdrie, Scotland where Gordon passed away on Monday 21st November 2011.